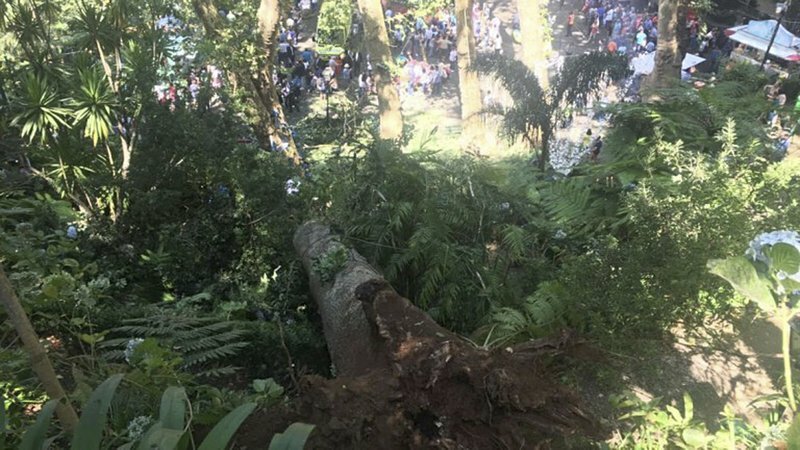 LISBON, Portugal (AP) — A tree crashed down on a popular religious festival on the Portuguese island of Madeira on Tuesday, killing 12 people and injuring 52 others, officials said. 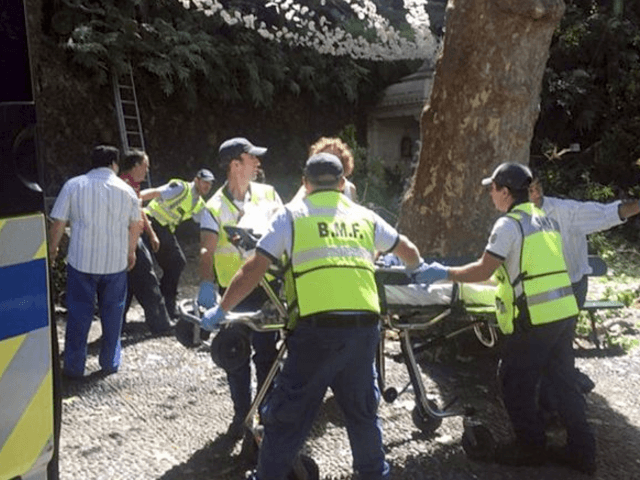 The tree fell while a large crowd was gathered near the island’s capital of Funchal as part of the Nossa Senhora do Monte festival. It’s Madeira’s biggest annual festivity and was being held Monday and Tuesday, drawing large crowds to a church on Funchal’s outskirts. Local media reports said that the tree was an oak that was more than 200 years old. Regional health chief Pedro Ramos said that seven people had serious injuries. Ramos said that of the 12 fatalities, 10 people died at the site of the accident. A child died en route to a local hospital, where another woman also perished. RTP public television showed images of emergency workers gathered under a group of tall trees on the Atlantic island. Ambulances were shown pulling away from the site while workers wielding chain saws cut away limbs from an enormous tree on the ground. More televised images showed some people attending to the injured. Others appeared visibly shaken. 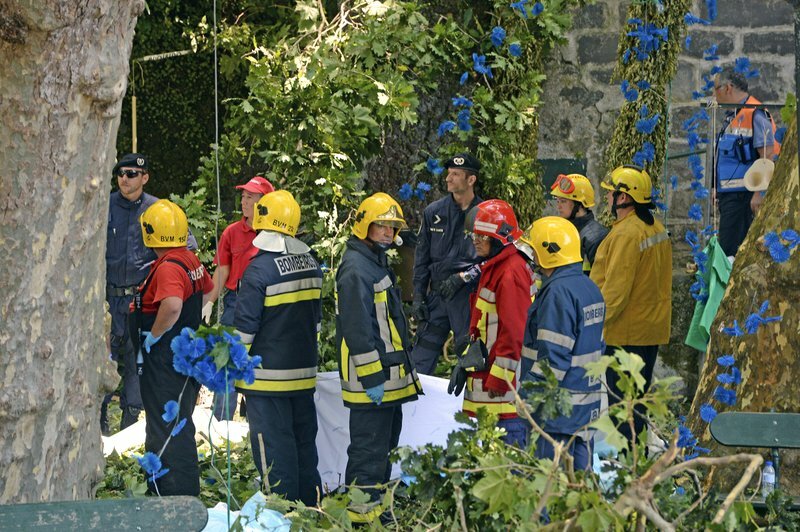 Miguel Albuquerque, the head of the regional government of Madeira, declared three days of mourning for the victims.